Here is a little twin keel Fish, handshaped by Mike Slingerland. 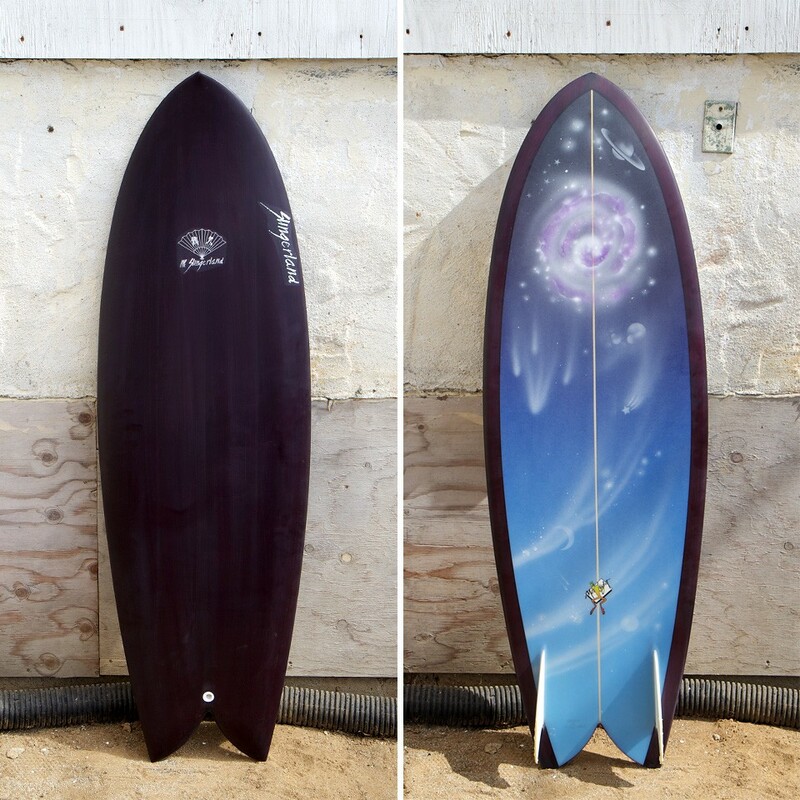 Burgandy resin tint deck and rails, cosmic airbrush bottom. Glass-on single foil fiberglass keels. *update: this board is SOLD, thanks! Oh, that looks a lil bit nasty!